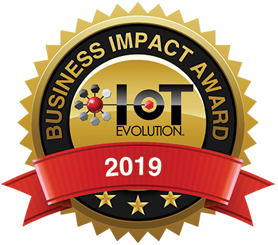 The IoT Evolution Business Impact Award is a special awards program focused on recognizing companies and business leaders who have successfully implemented M2M and the IoT solutions to solve a business issue, launch a new service or create a revenue opportunity. Candidates for this award will be selected from the pool of BIA applicants. Candidates must be able to show successful launch of an M2M and IoT related project. This award covers implementations across any vertical or application, including but not limited to retail, medical, transportation/fleet, smart energy, supply chain and more. All award candidates will be given the opportunity to share their IoT success story with the IoT Evolution Conference audience. BIA winners will be announced at IoT Evolution Conference & Expo. Additionally, all award winners will be featured in TMC's IoT news coverage, including but not limited to our IoT newsletter, The IoT Evolution Magazine and the IoT News Site. To be considered as a candidate for this award please fill out the form below and submit it by May 30, 2017. All candidates will receive a complimentary IoT Full Conference pass to attend the event and 2 passes at 50% for colleagues and business partners. IoT Evolution provides attendees with an understanding of how M2M and the Internet of Things (IoT) will be the driving forces behind improving efficiencies, driving revenue opportunities and solving business problems across multiple industries and in nearly all business functional areas. Attendees will learn how to use IoT solutions to create an ecosystem for actionable data, information and efficiencies for a myriad of different applications including retail, medical and smart home/building applications as well as cross industry applications in big data, security and logistics. (Includes transportation, fleet management and demand response). IoT Evolution's conference content will have a strong focus on how enterprise IT and enterprise business processes will change based on the capabilities inherent in connected devices, sensors, controls and cloud computing.